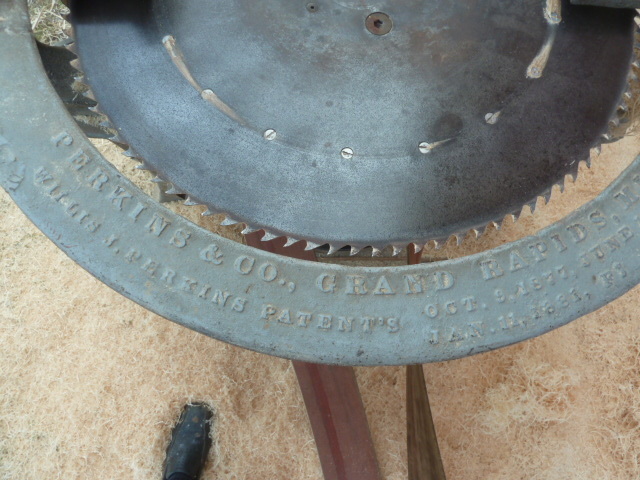 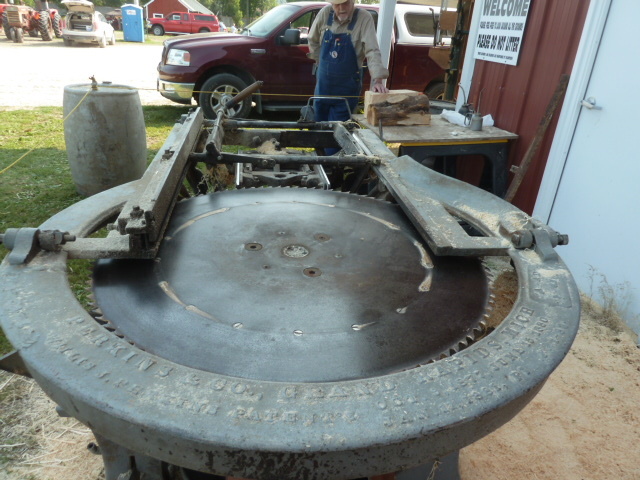 This is used to cut shingles at the annual old machinery days, Olmsted County Historical Society in Rochester, Minn. 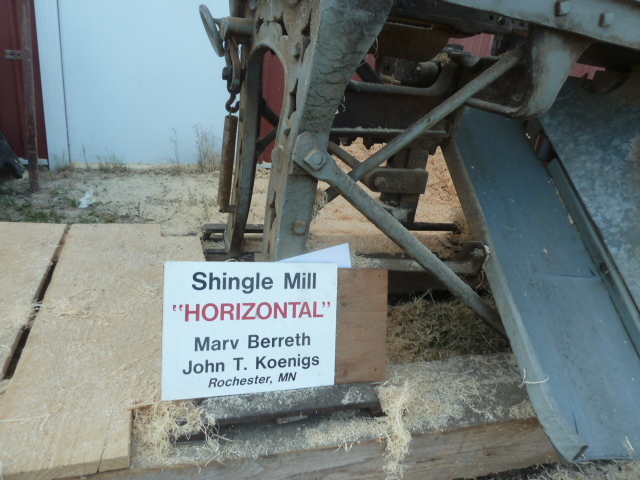 Comments: Shingle mill from the operator end. 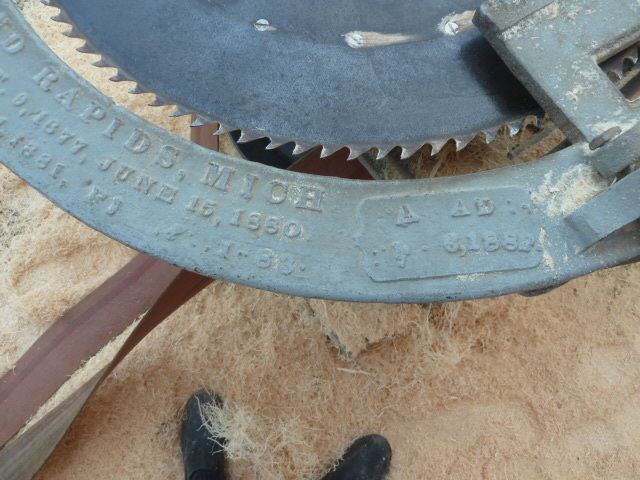 The large lever changes the tilt from left to right and is changed every few shingles. 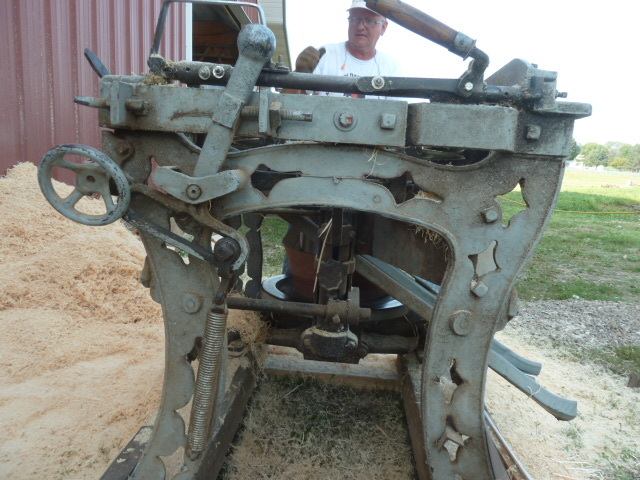 The right lever locks the block in place. 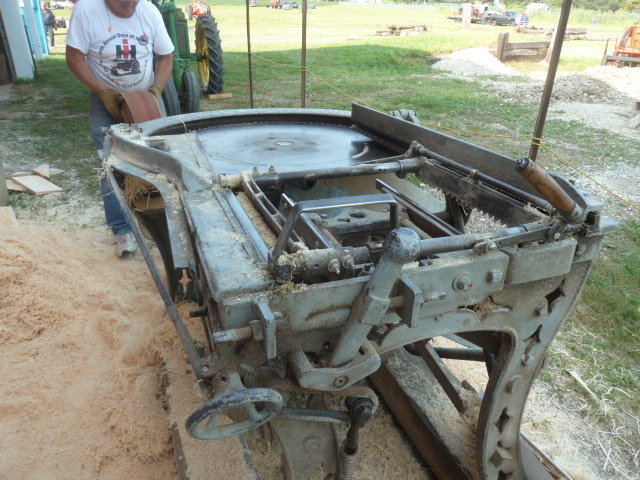 Lock, push, pull, unlock (block of wood drops down for the next).